Light and airy single storey holiday accommodation decorated in a stylish coastal theme to remind you of Southwold, just ten minutes drive away. Redshanks is unusually large for four people with high ceilings and simple contemporary furnishings throughout. A welcoming entrance hall, exclusive to Redshanks, sits at the heart of the apartment with the large open plan living/dining room to the right with beautiful stone fireplace and the superb modern kitchen through an arch. Both spacious and stylish bedrooms open off the hall, one with a chic bathroom and a modern shower room, easily accessible for guests in the second bedroom and in the living area. Set in 12 acres of private grounds with allocated off road parking, this stylish apartment's address is 44 Blythview, part of a Grade II listed conversion of a former hospital which has been superbly renovated with the communal facilities for guests including an indoor heated pool, mini fitness suite. Carpeted in the hall, living space and both bedrooms with hard flooring in both bathrooms and the kitchen. The front door is wider than standard and there’s a small lip into the apartment and between rooms and into the shower, otherwise Redshanks is suited to guests with a mobility problem. Light streams in through the tall sash windows overlooking the courtyard. Furnished in a simple contemporary style with two double sofas and footstool, handsome dining table with six chairs. The stone fireplace is a centerpiece to the room with large flat screen TV above and cabinet in the corner stocked with games. A gorgeous kitchen with units in a U shape with integrated Neff electric oven and separate grill at waist height (great for bad back sufferers! ), four ring gas hob, large fridge with separate two deep drawer freezer, dishwasher. free standing microwave and slow cooker. The cupboards are stacked with everything you could need for entertaining at home and an opening into the living space allows the chef to socialise whilst cooking! A sunny south facing room with king size bed, bedside drawers and ample storage in a wardrobe with drawer beneath and large chest of drawers with TV sitting on the top. Chic modern bathroom with shower over the bath, WC, wash basin and heated towel rail. Off the hallway with double shower cubicle, wash basin, WC and heated towel rail. An equally stylish bedroom overlooking another courtyard. The bed here’s a double with bedside drawers, a wardrobe with drawer beneath and tall boy. Set in 12 acres of private grounds for you to enjoy with allocated off road parking for one car and additional visitor parking close by, Redshanks (44 Blythview) is part of a Grade II listed conversion of a former hospital which has been superbly renovated with the communal facilities for guests including an indoor heated pool, mini fitness suite. This modern ground floor self-catering holiday apartment is equipped with gas central heating and appliances include two TVs with Freesat and Wifi. The kitchen is well equipped with integrated Neff electric oven and separate grill at waist height (great for bad back sufferers! ), four ring gas hob, large fridge with separate two deep drawer freezer, dishwasher, washing machine, free standing microwave and slow cooker. Complimentary use of the communal facilities including an indoor heated pool, mini fitness suite (subject to availability), 12 acres of grounds, one allocated parking space and additional visitor parking a short walk from the property. Blythview occupies an excellent location for easy access to the many attractions of the East Suffolk Heritage Coast, which include many walks and cycling routes and for bird watchers there is the renowned RSPB sanctuary at Minsmere within easy driving distance. Redshanks, named after the attractive wading bird which can be seen at Minsmere, is within five miles is the renowned coastal town of Southwold, famous for its iconic pier, Georgian and Victorian architecture, individual shops and traditional pubs. The picturesque coastal village of Walberswick is also worth a visit with long stretches of sandy beaches, village green with gift shops and tea rooms and a couple of great pubs serving excellent food and local beers. 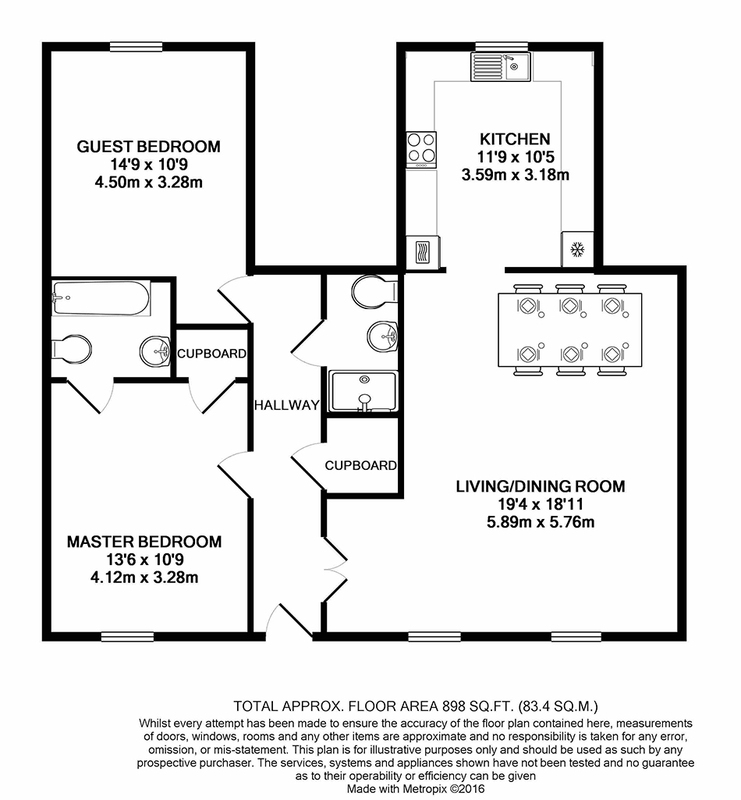 As 44 is a ground floor apartment it is well suited to guests with a mobility problem. There is carpet in the hall, living space and both bedrooms with hard flooring in both bathrooms and the kitchen. The front door is wider than standard with double doors opening to the living/dining room. There’s a small lip at the threshold, between rooms and into the shower cubicle.